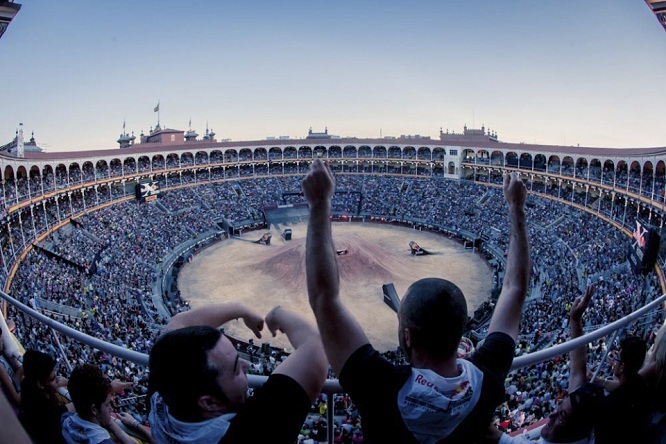 Once a year the bullriding arena Las Ventas in Madrid turns into a Freestyle Motocross basement. Top riders met in the saint temple last Friday. Unfortunately Todd Potter and Jeremy Rouanet crashed during Friday’s practise and were forced to sit out the main event. I was looking forward to see Rouanet’s new trick – La Roulette. I guess, there’s always a next time. I’ve been watching the series since 2005 or 2006 but I don’t remember a time I would have seen the Round 1 streamed. 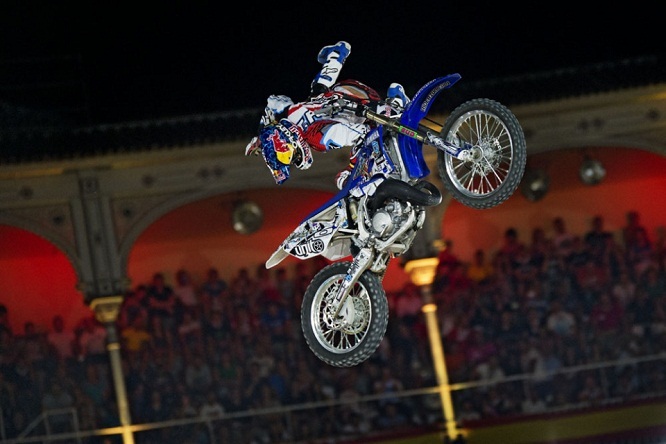 This time redbull.tv give us the whole event, which I am very thankful. It’s been Tom Pagès and Bilko Williams who moved into the Quarterfinals. I was pretty pumped about that until I found out who were they put against. It was Tom vs. Taka and Bilko vs. Levi. Obviously, Taka pulled his Rock Solid Flip out, but Tom had some tricks up on his sleeves as well. He made a nice Volt and a lovely new Special Flip, which he introduced at X Games. No wonder, he was moved into the semifinals. 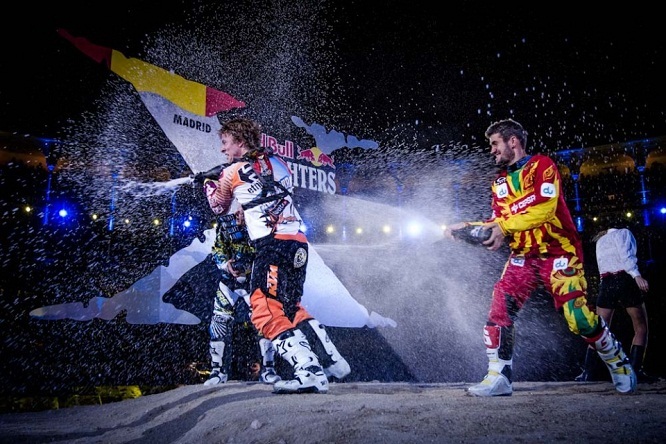 Lei Sherwood beated Bilko, Maikel Melero destroyed Eigo Sato and Dany Torres knocked out Javier Villegas. The final run was between the Spanish torreador and Levi Sherwood. Young Kiwi grabbed the win, leaving DT on the second and Maikel Melero on the third place. At least Tom Pagès took the Best Swatch Move. Despite the bad judges’ decision, I loved the energy I got from this night even through the TV screen. It was a hell of a night.